Happy Friday Lovelies! Today’s wedding inspiration captured by Hochzeitslicht is perfect for the weekend and is sure to get your creative juices flowing for your wedding planning too! 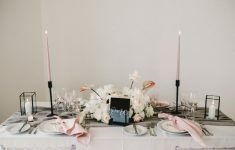 I spotted this amazing tablescape by IDO Events who we’ve featured a few times here on B.LOVED for their flair for contemporary ideas, fashionable details and beautiful weddings. This was actually created for a recent wedding show, but we just had to share it with you! The bold colour palette mixing greens with gold, muted pinks and coral tones – is unusual but wow, does it work well! 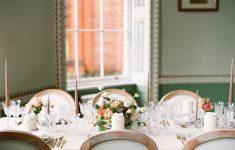 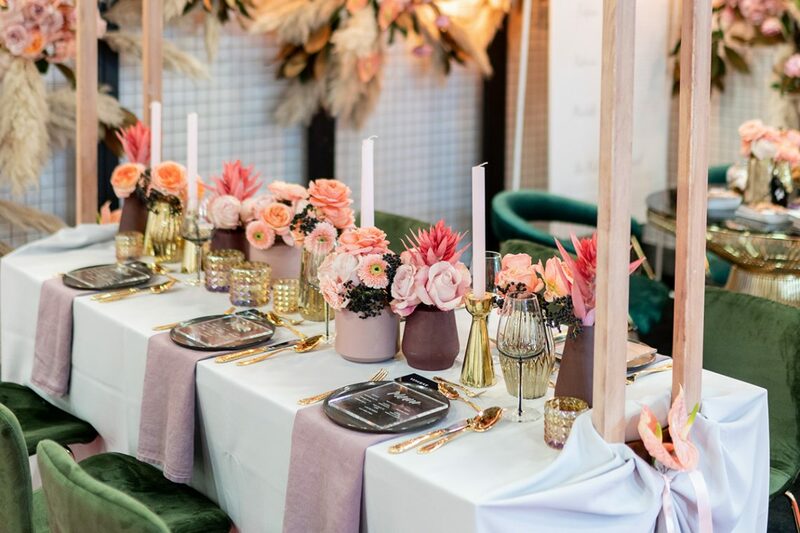 We love the velvet green chairs and let’s just take a minute to talk about the showstopping florals too! 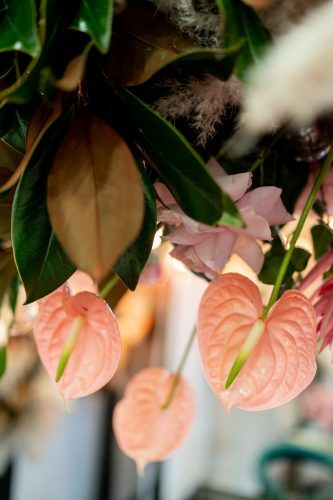 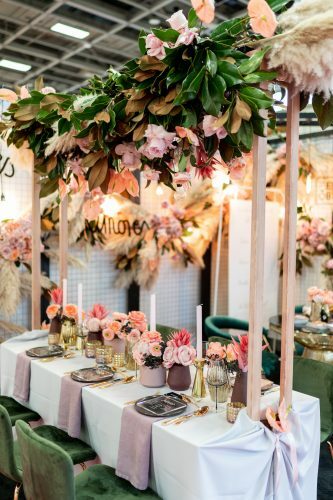 Flores Y Amores created this on trend floral installation for over the table, with lush green leaves and colourful flowers – including the very hot right now Anthurium, aka Flamingo Flower. 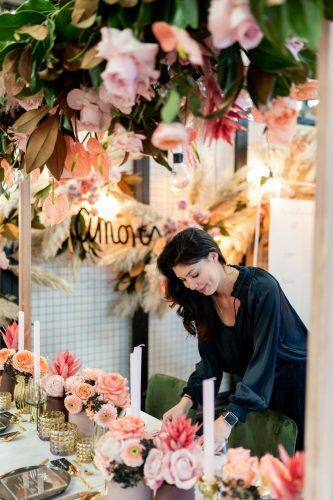 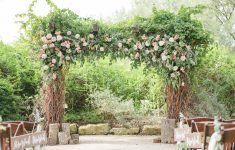 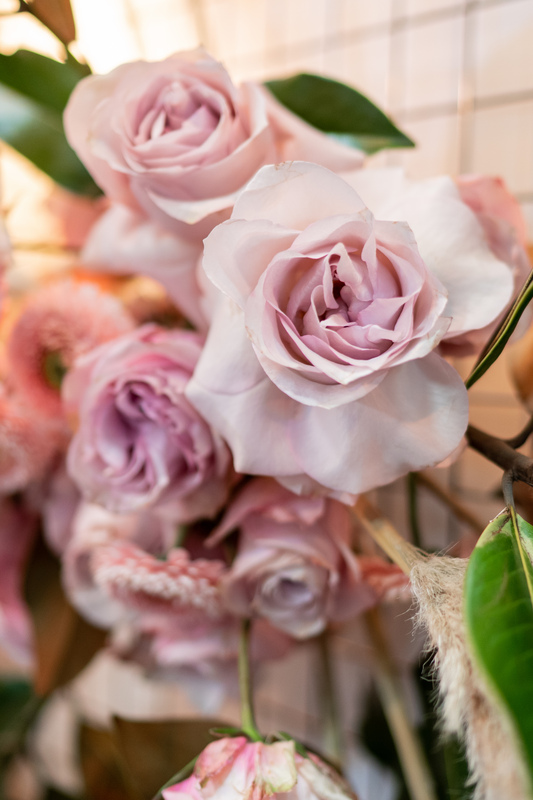 Check back over our recent features where we have been talking about the rise of Anthurim flowers in cool wedding floral design. 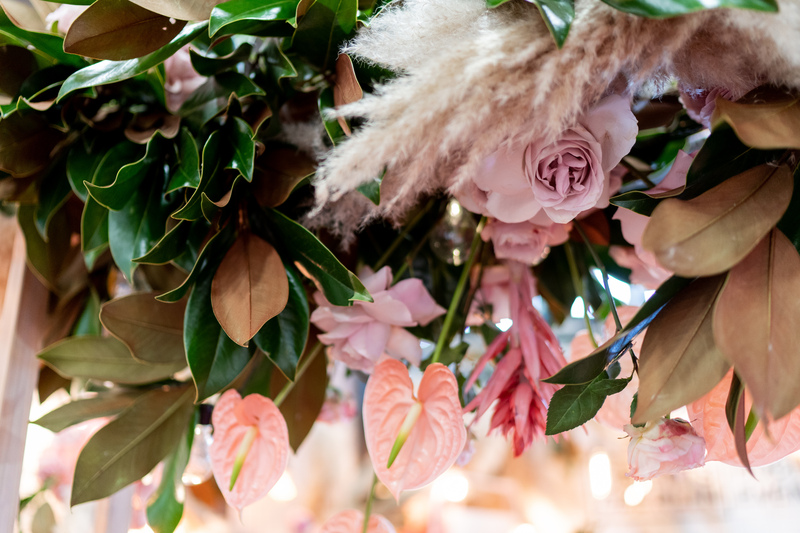 We think it’s definitely set to become the new Pampas Grass! 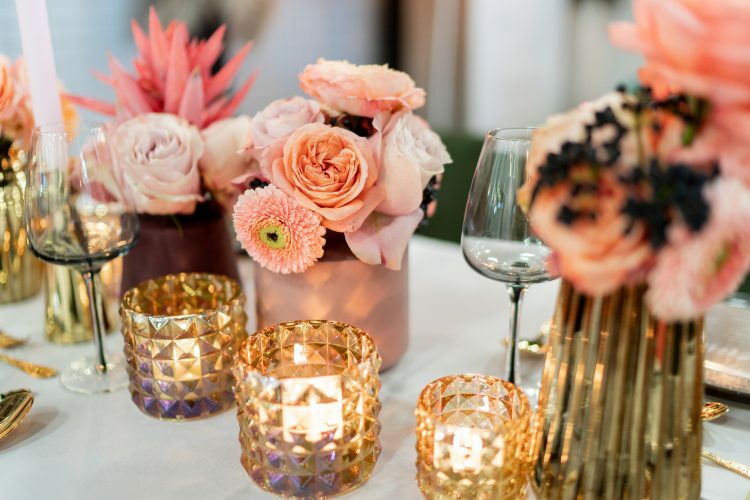 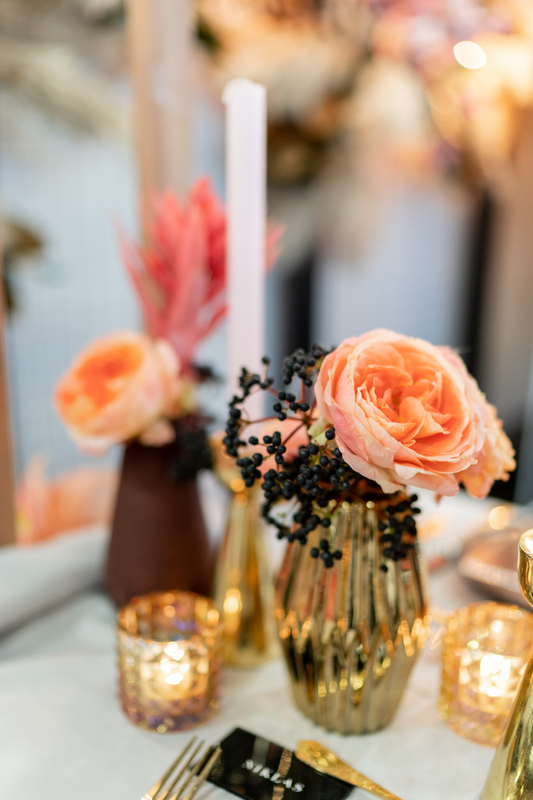 A runner of gold etched glass candle holders and vases display an array of coral coloured flowers with hints of muted roses and deliciously deep dark almost black flowers to offset them. 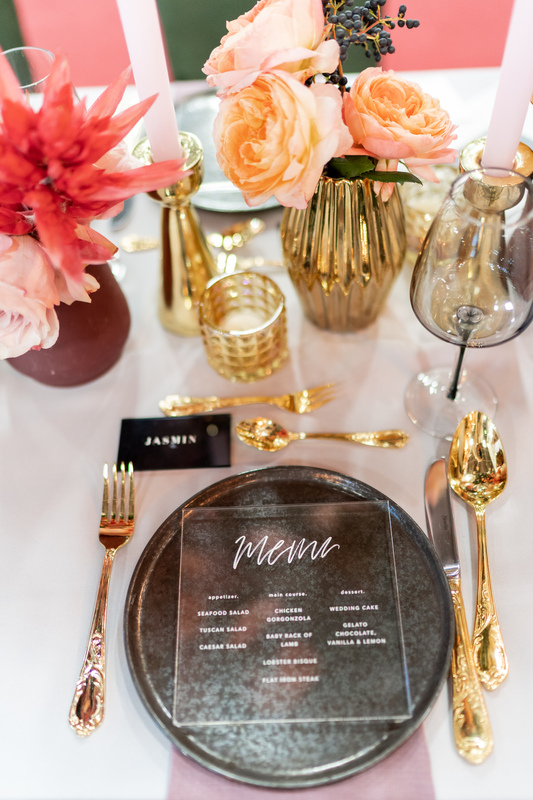 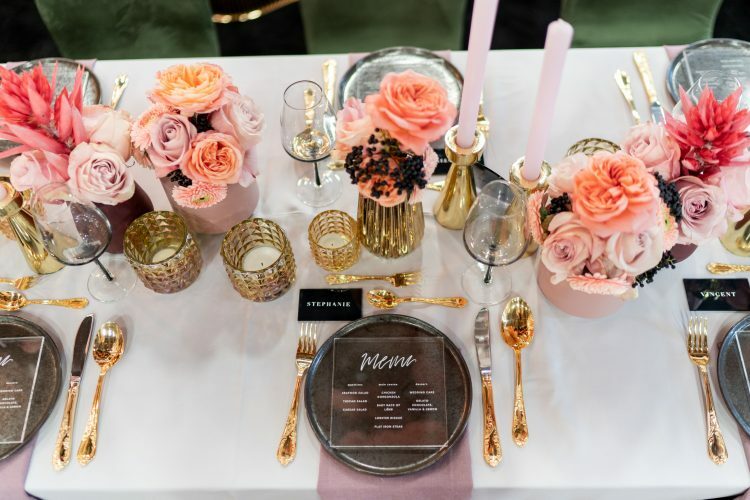 Trendy smoke grey glassware, and dark plates with gold cutlery creates a statement place setting along with the fashionable acrylic stationery designed by Viviane Lenders Design. Acrylic details and stationery is another big trend we’re loving for 2019 weddings too!